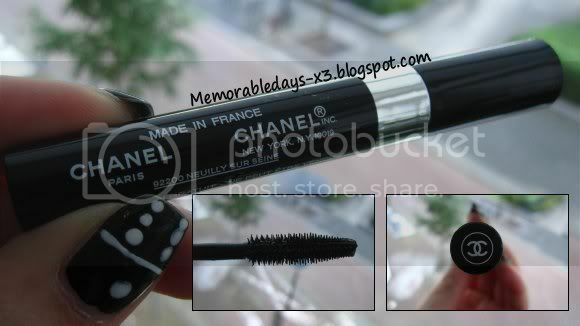 National Glamour day in Holland [2 oct. '10] | Memorable Days : Beauty Blog - Korean Beauty, European, American Product Reviews. This post is especially for the fashion lovers in The Netherlands & in Belgium. On the 2nd of October 2010 its the National Glamour Day! 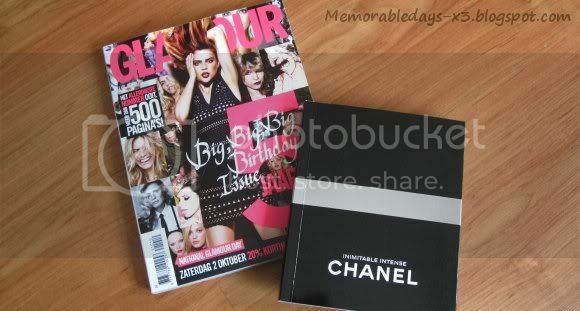 All you have to do is buy the magazine: Glamour (of October) and you will get 20% off in many stores! 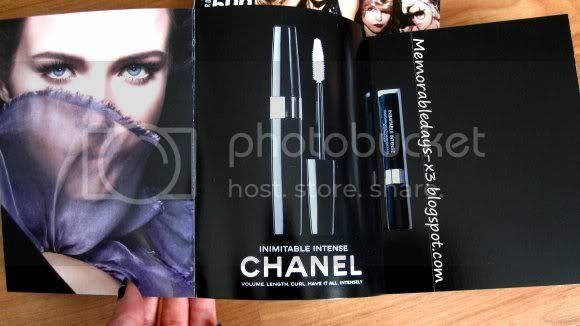 The mascara is a sample of Chanel' INIMITABLE INTENSE mascara multi-dimensionnel sophistiqué. The color is black (10 noir). 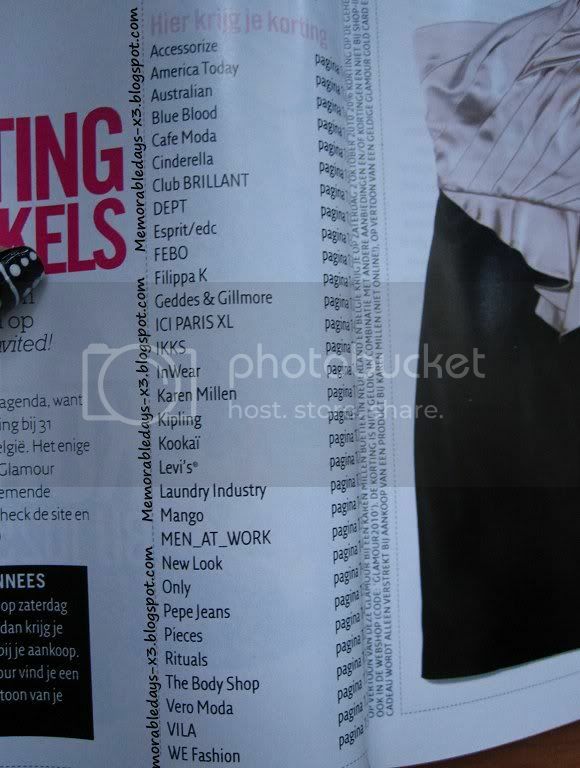 Hope this post was helpful for many fashion lovers in Holland & Belgium ^_^! That is so awesome! The magazines here in the U.S. has nothing in them. lol darn. Goeie tip :D Hoe is de mascara? Heb je 'm al geprobeerd? Reply to Leenda, petitechouxx & Suzy..
@Leenda, hmm, the magazines usually have a sample of a product in it here. @Suzy, nope heb 'm zelf nog niet geprobeert, maar zal nog wel een review erover schrijve ^^ !! heb je de glamour ook gehaald =) ? would you like to meetup sometime next week? about the magazine, its probably sold out everywhere, since its almost 2 october, stores won't have it in stock.